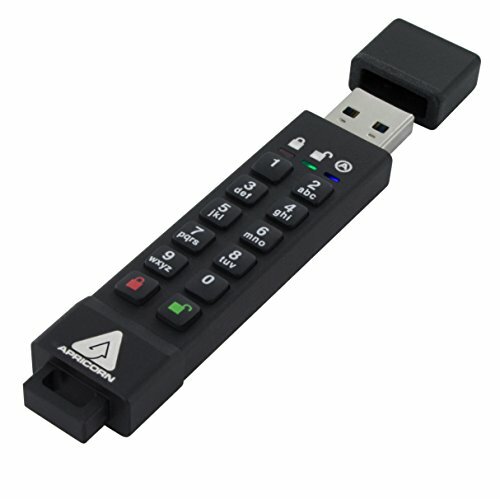 With software-free operation, cross-platform compatibility, USB 3.1 speed, advanced security features and Aegis Configurator compatibility, Apricorn's Aegis Secure Key 3Z takes data security to new levels of efficiency and affordability. The Aegis Secure Key 3Z is the most versatile encrypted drive available. It’s software-free and OS agonistic so it works with any system. The drive has a rechargeable battery which allows it to be authenticated and unlocked before it’s ever connected to its host. This onboard authentication circumvents all key logger software / malware tactics. None of its critical security parameters are ever shared with the host. Aegis Secure Key further protects the data with a programmable "Brute Force Hack Mechanism" which deletes the encryption key and destroys the data if an incorrect PIN is entered more than the programmable limit is set to allow.